How will Bankruptcy affect your car accident? Unfortunately, there are many people in Michigan declaring bankruptcy these days, and serious car accidents can occur whether an economy is good or bad. How does a bankruptcy filing affect a person who has been injured in an automobile accident? The most important advice I can give someone who has been injured in a car accident and who is considering whether to declare personal bankruptcy is to avoid filing bankruptcy if at all possible. The reason is that your bankruptcy becomes an “asset” of the bankruptcy estate. The bankruptcy trustee (not you, as the person injured in the automobile accident) will decide how much your legal case is worth and when to settle it. The problem with the trustee holding control of your legal case is that his interests are not the same as yours. A bankruptcy trustee’s main concern is paying off your creditors. In order to accomplish this, the bankruptcy trustee may settle your auto case for much less than its full value to achieve the quickest settlement possible. Also, the trustee can, and often will, hire a new attorney to replace your lawyer. This new attorney works for the bankruptcy trustee, not for you, and again is only concerned with getting the quickest possible settlement to pay off creditors. Also this new attorney often does not have personal injury experience, and may know very little about how to litigate car accident injury cases. The best advice remains this: if you have concerns about being forced to file, the best possible thing you can do is to discuss the matter fully with your attorney. There may be other options until he or she can resolve your accident case. The worst thing you can possibly do is not tell anyone. People who declare personal bankruptcy are required to provide a full and complete disclosure of all their assets and their debts. If you are injured in an automobile accident, your accident claim and personal injury lawsuit are considered “assets.” Failure to disclose all of your assets can result in losing your bankruptcy discharge, which is the reason people file for bankruptcy to begin with. In addition, failure to disclose all of your assets is a federal crime, and can result in prosecution. By properly disclosing your personal injury case in your bankruptcy filings you are maximizing the chances of being allowed to later receive a discharge and a pain and suffering settlement from your automobile accident case. Remember, the bankruptcy trustee and courts take an especially hard view of people who fail to disclose a bankruptcy filing during a pending personal injury case. Only by fully disclosing a possible injury claim or a lawsuit from a car accident in your bankruptcy filing can you maximize your chances of receiving a pain and suffering award. Honesty truly is the best policy. How does a bankruptcy filing affect the person who causes a car accident? 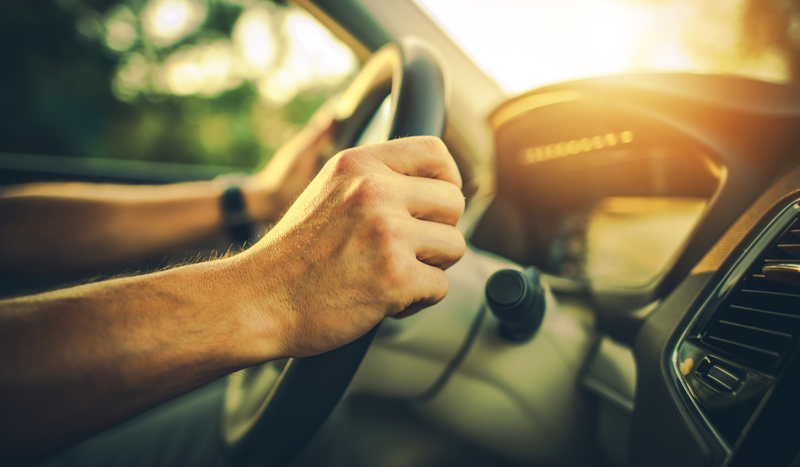 When the person who causes an automobile accident declares bankruptcy there is almost always an Automatic Stay entered against the defendant debtor; however, the court’s deadlines and trial schedule still remain in effect. This creates a problem as a personal injury case cannot proceed in state court without the permission of the bankruptcy court. In these cases, it is the lawyer’s responsibility to pick up the phone and ask how the court would like the parties to handle the stay. Some courts require an “Administrative Stay Order” by providing the date of filing and bankruptcy case number. Other courts require a motion to be filed, and still others will accept a stipulated order. Again, the sanctions for failing to disclose a bankruptcy filing with the court can be severe, and the Bankruptcy Court can assess costly sanctions to clients in violation of an automatic stay or failing to inform the Court. Proceeding with an automobile accident lawsuit in state court when a lawyer or the individual who caused the accident knows about a bankruptcy filing can, and likely will, result in sanctions from the bankruptcy court for violating the bankruptcy stay. No matter how dire the financial situation of the person who causes an auto accident, some debts remain non-dischargeable if brought to the attention of the bankruptcy court. Examples of non-dischargeable events include: injuring someone while drinking and driving; willfully or maliciously causing a personal injury; and, causing wrongful death or personal injury while operating a car or truck under the influence of illegal drugs. In these situations, the “fresh start” that our bankruptcy system is predicated upon will not apply and the defendant who causes a serious car accident will remain responsible for any excess trial jury verdict and judgment, even after the bankruptcy filing. A lawsuit must be filed in the bankruptcy court to prevent the wrongdoer from obtaining a discharge of your claim. Failure to file a timely lawsuit in the bankruptcy proceedings may result in the wrongdoer obtaining a discharge of a debt that was non-dischargeable under Michigan law. Practice tip for Michigan lawyers: if the case involves significant personal injury or wrongful death, often the case can still be resolved with a defense lawyer or insurance company adjuster by agreeing to cap the defendant’s exposure to the defendant’s policy limits in exchange for being able to proceed with the pending personal injury claim (i.e. stipulating to relief from the Automatic Stay). Lawyers handling car accident injury cases that have yet to encounter a bankruptcy filing, or the implications that bankruptcy has on an auto accident case in Michigan, it is only a matter of time. There are just too many people in this state who are being pushed towards bankruptcy by the local economy and housing markets. And car accidents happen no matter what the time of year or state of the economy. For people considering the possibility of bankruptcy, the advice is simple: share your concerns with your attorney, fully disclose a bankruptcy filing if you have already filed, allow your attorney to work with the Court and, when necessary, involve a bankruptcy lawyer to help you so you can achieve the best result and still retain the largest portion possible of your auto accident settlement.